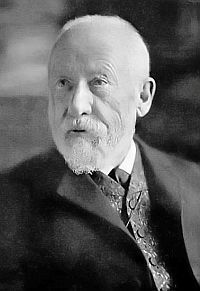 Wilhelm Dilthey, philosopher, aesthetics and history of philosophy scholar. Professor in Basel, Kiel and Wrocław, in Berlin from 1883. Interpreter of Schleiermacher, Hegel and of the German Romanticsim; author of important contributions on hermeneutics and on the "human sciences"; historian of the resumption of Stoicism in European thought from the Renaissaince to the Cartesian era.